HALIFAX -- The Nova Scotia Nurses' Union is raising the alarm about higher-than-normal overcrowding levels in hospital emergency rooms, saying the pressure is making it difficult to retain nurses. The union says a recent survey of its membership found that 77 per cent of ER nurses are not optimistic about the state of emergency departments in Nova Scotia. "We just are overwhelmed with the number of patients we're seeing and the acuity of them," said Jen Thiele, an ER nurse at the Dartmouth General Hospital. "We're not getting breaks on our end ... so we are getting frustrated, and getting fatigued and burnt out." Union president Janet Hazelton said Monday the main causes of the overcrowding are a lack of beds, struggles with the flow of patients, and staffing shortages. She said while there isn't a blanket shortage of nurses across the province, there are gaps especially in rural areas and in emergency rooms. "This has been a long-standing problem," she said. "We need to sit down and have a comprehensive approach, but we can't be talking about it in two years time or four years time, we need to do it now." Hazelton said continuing emergency room closures because of doctor and nurse shortages create a ripple effect throughout the system. "That puts pressure on our open emergency departments. So when we have several emergency departments closed in rural Nova Scotia, then all of those patients have to be diverted." Thiele said nurses move patients around and take other measures daily to keep emergency departments running, but she said they need more staff "just to help with the care that is there." Hazelton said in addition to new hiring, nurses already working in the system need to be better utilized. Hazelton called for nurse practitioners to work in long-term care facilities, a move that was promised but hasn't yet been implemented. "If we had nurse practitioners working in long-term care, they would be there to see those residents and hopefully prevent them from going to our emergency departments," she said. Hazelton said there is also a need for more long-term-care beds to free up beds in acute care. She said the union would be flushing out many of its ideas to improve care in a report to be released in May. Meanwhile, Health Minister Randy Delorey was in Sydney Monday, where he announced that a request for proposals for the design of the expansion the Cape Breton Regional Hospital will be issued this week. The work would see the construction of a new emergency department, critical care department, and cancer centre. Delorey has said the expansion is aimed at alleviating chronic overcrowding and staffing shortages at hospitals in the Sydney area. "This is an exciting next phase in a major transformation of health care in Cape Breton," Delorey said in a news release. "These changes will help ensure Cape Bretoners have access to quality care in modern, state-of-the-art facilities for generations to come." The government has already approved $8.1 million for the redevelopment project, which will go toward completing the early design phase. The redevelopment is part of a plan to close the Northside General Hospital in North Sydney, N.S., and the New Waterford Consolidated Hospital. The government's move has been met with criticism in Cape Breton, with politicians booed at the news conference that announced the changes last June. Union says overworked paramedics becoming public safety issue in N.S. 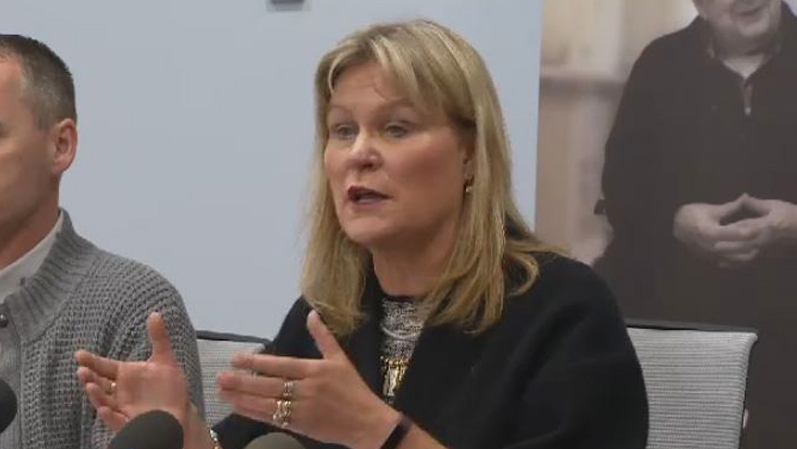 Janet Hazelton, president of the Nova Scotia Nurses' Union, talks about emergency room overcrowding and staffing shortages during a news conference in Halifax on March 25, 2019.